Dr. Wendy Ward will team up with other leading entrepreneurs and professionals, including Best-Selling Author® Jack Canfield, to release the new book, The Success Formula, which brings together successful entrepreneurs to offer advice as a catalyst to success. New York, New York – March 28, 2019– Physician and CEO of MPower Productions, Dr. Wendy Ward, recently signed a publishing deal to co-write the forthcoming book titled The Success Formula, published by CelebrityPress® LLC. In addition to Dr. Ward’s expertise, the publication features content from world-renowned entrepreneur, professional speaker, and Best-Selling Author® Jack Canfield. The book will be released under the CelebrityPress® LLC imprint, a leading business book publisher that publishes books from ThoughtLeaders® around the world. Dr. Wendy Ward was selected to be in the book because of her commitment to professional success and willingness to share her vast knowledge. Her professional expertise makes her an asset to the publication and will surely benefit a wide range of readers. Dr. Wendy Ward helps her clients transform their way of ‘thinking, being, doing and behaving’, empowering them to survive, thrive and succeed. Wendy is a Physician – a board certified Anesthesiologist who has been practicing medicine for 30 years – and a Life Transformation Specialist. She received her BS degree in Microbiology from the University of Massachusetts-Amherst and received her Medical Degree from Mount Sinai School of Medicine in New York City. Wendy is also certified in the holistic disciplines of Acupuncture and Reflexology. Wendy, a true Renaissance woman, is the founder and CEO of MPower Productions – a multimedia inspirational educational company – which she started 10 years ago. 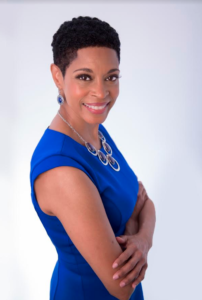 MPower allows her to feed her passion and use her eclectic array of talents and expertise, which include being a Healer, Educator, Singer/Songwriter, Storyteller, Filmmaker, Inspirational Speaker, Author and Athlete, to serve. As the daughter of an Educator and a Physician, her inherent passion and aptitude to ‘heal, inspire, educate, uplift and empower’ others – especially Youth – is woven into her DNA. Wendy’s philosophy is that everyone has a purpose and deserves an even playing field of opportunity to maximize their full potential, realize their dreams and fulfill that purpose. She believes that as each person is able to fulfill their purpose, collectively, it serves as a major precursor to achieving the ultimate goal of establishing world ‘love, peace and unity’, creating a win-win for all. Wendy created the CPR (Continuous Positive Reinforcement) for eMPOWERment multimedia content platform to implement her empowerment efforts. This platform includes her signature MPOWER ‘STRESS MANAGEMENT & SUCCESS’ TRAINING SYSTEM, which is designed to empower her clients to survive any life challenge, thrive in the face of adversity and succeed in every aspect of their lives. Teamwork and her ‘scientific and spiritually based’ reach to teach approach are the cornerstones of this system. Wendy employs the utilization of multimedia interactive Youth friendly vehicles that include Music, Audio-Visual Entertainment (Films, Shows, Gaming, etc. ), Sports and Social Media. This enables her to ‘reach’ youth by meeting them in their familiar ‘comfort and passion’ zone, allowing her to effectively ‘teach’ and empower them. Wendy embodies her philosophy and beliefs not only through her work with MPower, but also by partnering and participating for over 35 years with various Charitable, Educational and Youth Empowerment organizations. She contributes her time, talent and resources as a mentor, participant and/or co-creator in countless empowering ‘events, forums and platforms’ for both Youth and Adults. Some of the organizations Wendy participates with include The Rotary, New York City Department of Education, New Jersey Department of Education, New York Foundling Preventive Program and countless other charitable and educational organizations and endeavors. While Wendy’s primary focus is the empowerment of adolescent youth, her utilization of an ‘intergenerational – it takes a village’ model to youth empowerment allows her to ‘train, teach and empower’ adults to survive, thrive and succeed as well, which empowers communities.